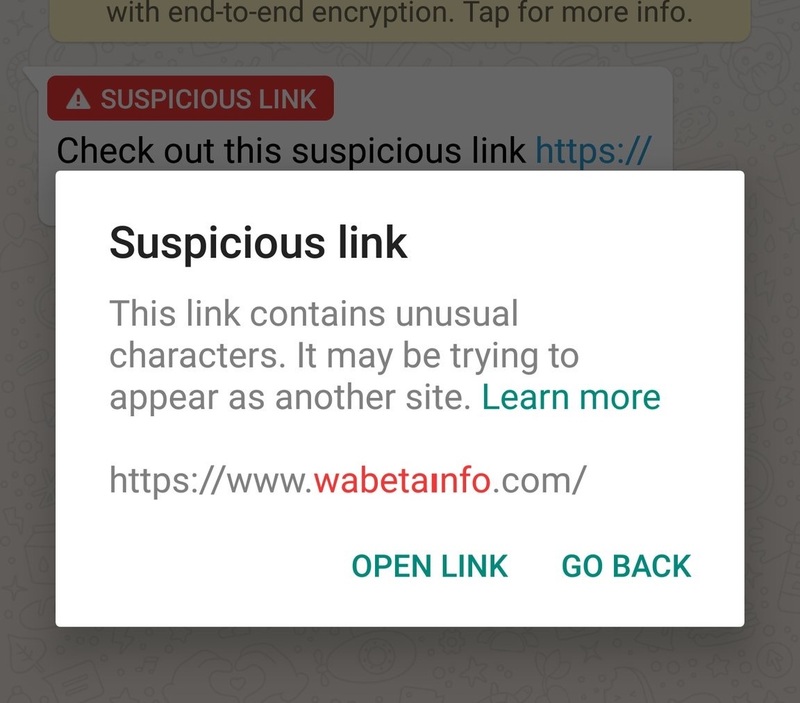 WhatsApp is globally rolling out the Suspicious Link Detection feature for Android! As mentioned in this article, WhatsApp was working on a new feature that allows to detect if a received link is marked as suspicious. After the 2.18.204 beta update, where the feature was not available yet for the public, WhatsApp has continued to improve this feature, and finally today we have a good news for all Android beta users. You need to update your WhatsApp beta for Android version to the 2.18.221 update in order to remotely receive the activation of the Suspicious Link Detection feature. If you have already updated but you don’t see the feature, please back up your chat history and reinstall WhatsApp if you don’t want to wait more. Read more to discover how to understand if the feature is enabled for you.. The feature isn’t available for iOS and Windows Phone. It will be available in the next updates. Precedent Android beta versions might also get the feature, but it’s always recommended to use the latest version available, to quickly see the feature enabled. AVAILABLE TODAY FOR ANDROID BETA! Since today, WhatsApp is globally rolling out for all Android beta users the Suspicious Link Detection feature! How to understand if the feature is already enabled for you? It’s very simple! You need to receive a message from another user (iOS, Android, Windows Phone) that contains a Suspicious Link. For example, you can ask to your friends to send a message that contains this specific link: https://wabetaınfo.com. You can notice this is not my website, because it contains a different character, and when you will receive it in the chat, you can notice WhatsApp marks it as suspicious. 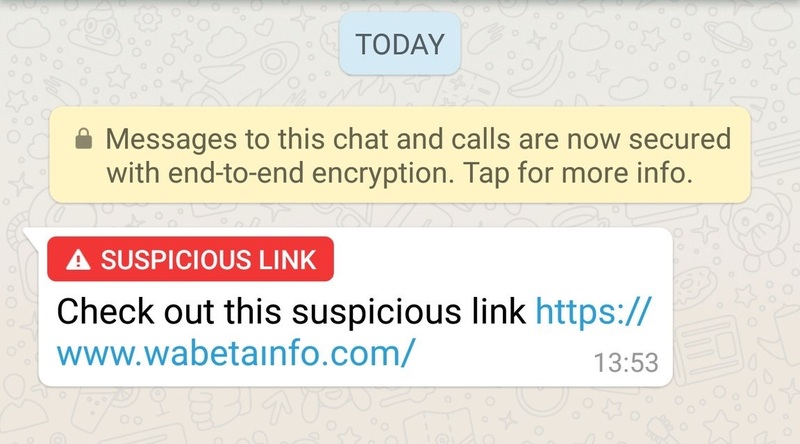 WhatsApp detects the link as suspicious locally: it means no data are read from WhatsApp/Facebook servers in order to verify if the link is suspicious. Being chats end-to-end encrypted, it wasn’t possible. Also if the feature is enabled now for Android beta users, WhatsApp is going to continue to add a lot of other checks to detect other suspicious links in the next updates! Previous PostPrevious WhatsApp beta for Android 2.18.216: what’s new?